I'm on the Growth team at Help Scout. A husband and father of 2. Love data and search. In SEO, most are self‐taught by reading the great blogs at Moz, Blind Five Year old, Search Engine Land, etc. I watched every Whiteboard Friday on Friday morning (and still watch). I even tried to post WBF on Inbound before anyone else 🙂 I then graduated from asking questions to giving answers in the forums. Next, I started picking up content from others: Search Engine Land, SE Journal, Blind Five Year Old, SEER, and hundreds of others. I followed all the big names. I really thought I was an expert in SEO (and so did my Linkedin Profile). I had read every article on Moz (no exaggeration). I was giving “expert answers” on forums. I consulted with a few small sites, and even completed several projects with different IT teams and Project Managers. 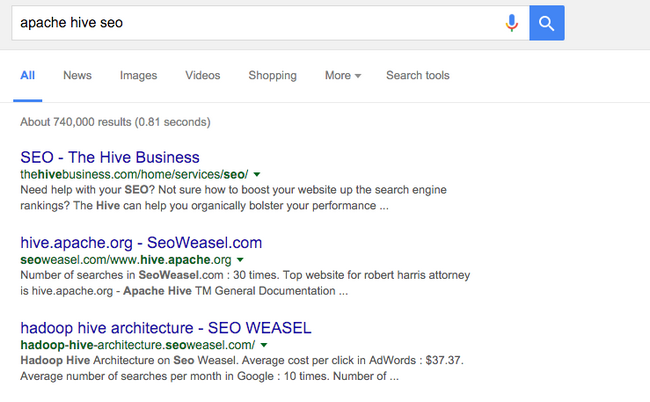 I was convinced I was an SEO expert. So a few years ago, I took my expert SEO knowledge, resume, and applied to one of the top 50 websites in the world. I landed an interview. First interview was a HR screening (went great ). Second interview was with the Director of SEO (led a team of 30). We chatted about my interest in SEO — but nothing technical. Third interview was with a team member. We didn’t even talk about SEO because we hit it off so well (things were looking great). The final round was to analyze a competitor’s website and give recommendations. Easy. I got this, right? I know everything Moz, SEER, and Blind Five Year old have ever written about SEO. I wrote down my best 20 page analysis. Failure was the best thing that ever happened to me. The worst part about failing the analysis was when I asked what I could have improved, the director couldn’t tell me. I was in the dark. I didn’t know if it was because my analysis was so off that she didn’t know where to begin? Or was she afraid of giving away secrets (am I missing something crucial)? Where was the transparency? Up until this point, everyone in SEO had been transparent: in conversations, tweets, and articles. Want to the best in SEO? Stop reading only the mainstream blogs, start reading job descriptions of the world’s largest sites, and implement the skills they require. Once I got the fundamentals down, I realized that my skill set was fairly stagnant. I knew all of the terms, had grown sites in organic traffic, but needed more. How many of you recognize these names? These are amazing people (without much of their writing, I’d be deficient in my job). I could also name a hundred more that you would know. Why do we know these names? Because they publish, they are transparent about their success and failures (as much as they can be while maintaining a business advantage). The names above represent some of the greatest minds in SEO: Nike, Etsy, TripAdvisor, Getty Images, and Amazon. For the most part (minus Kaitlin, while she worked for Portent), many of the names above are non‐existent on the popular blog sites. Did Steve Bates write an article when Nike became the worlds largest shoe site? What about an article on how they used SQL + Visual mapping to make architectural changes that led to better crawling and more indexing? What about Peter — when Amazon became one of the most visited sites in the world? Did he write an article on architectural changes that led to better crawlability, which led to more indexing, and finally: more sales? Of course the examples above are false, because I can’t find any articles from them (and that’s okay — businesses do have to have secrets to succeed. They also probably signed non‐disclosure agreements). Better yet, TripAdvisor (one of the most respected in SEO — IMO) created Trip Advisor SEO University… yet it’s for employees only. This is not a critique of “lack of transparency” with these people but figuring out a way around it. 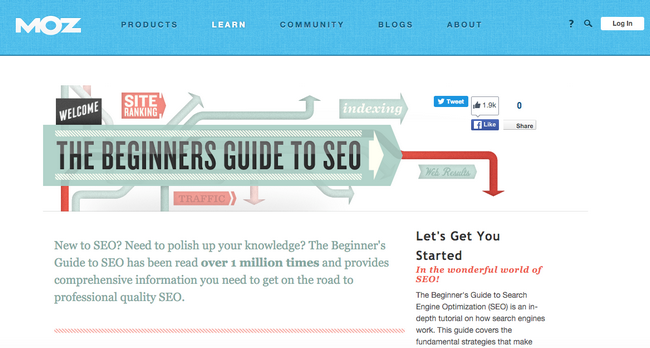 If you are self‐taught SEO, how do you keep learning? How do you continue to learn SEO when transparency stops? The best companies normally don’t give away their secrets — unless it’s in a job description. Personally, I enjoy a Growth / SEO job description over a blog article on “9 Billions SEO hacks …”. Why? Because you can learn more. You also learn what the company is focusing on (you’re basically reading the rubric to their upcoming projects). How would you know that SEOs need to know HIVE/SQL unless you read the job descriptions? Trip Advisor isn’t writing articles about “How they used HIVE in project X to grow their SEO traffic by Y%”. Notice what is not mentioned in the JD? Content. Nothing is mentioned about writing SEO focused content. Geez. I can’t remember the last article I read on Artificial Intelligence and SEO. Reading job descriptions is humbling. Learning more technical skills. I’m not going to write C (yet), but SQL, JS — yea, I can do that. Playing with large data sets and trying to find problems and patterns. Reading over robots.txt files to analyze what sites were hiding (which by the way, has led to some of the greatest discounts available! That’s where most hide their promo pages). Paying close attention to the structure of larger sites (crawlability = indexation = possibly higher rankings). “Are the worried about link‐building?” Probably not in the way I think of it. One link from example.com wouldn’t move the needle. It was thoughts like the above that trained me to look for bigger issues. I spent less time thinking content marketing and more time thinking data analysis and hypothesis. A few years later, I did end up getting a job offer from a larger commerce site in SEO. However, the skills I had acquired from reading those job descriptions led to the type of job you dream of.